April 18, 2019 10:22 pm You are here:Home Jobs Living and Working Abroad – Online! Things have never been simpler for people looking to make a move from the United States and find another place to live and earn comfortably. In the past, expats had a more challenging and difficult time, living in foreign countries compared to present times. With the advent of the Internet, cell phones, and multinational corporations, people, commerce, and communications have never been easier, and the world has most certainly become a global village. Yes, the days of Columbus, Magellan and other explorers are well over, and almost every square foot of the Earth has probably been tread upon, but just because someone else has been there and done that, does not mean that you should deny yourself the adventure. These days, people from all walks of life and backgrounds work abroad. In the olden days, explorers went out for the king, queen or the church, but today, people go out for themselves, in search of adventure, new experiences, work or just for a more affordable cost of living in a new place. In present times, more and more professions are coming online and careers are transforming in such a way that many a job can be done efficiently from any part of the world. Graphic designers, writers, computer programmers and webmasters are all perfectly capable of doing their jobs from any location with an Internet connection and a telephone. It is interesting to note that even the more staid and traditional professions are becoming mobile. Lawyers and doctors can become consultants, working over the net. Architects can design and email their blueprints. And of course, almost anyone can find a job teaching English, even while working in a bar or resort or behind the desk of a hotel! People with some savings can invest and spend their days on a beach day, trading. The real question to ask is, if you can really make U.S. dollars, and cut down your standard of living costs by 30-40% of what it truly costs to live in the U.S., why would a person not choose to do so? In a way, the Internet and communication revolution has managed to combine the free spirited, bohemian lifestyle of the hippies with the professionalism of the yuppies. 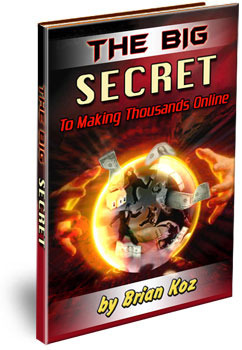 Anyone with a couple of weeks to learn a few software programs can make a dollar over the net. Websites and online businesses such as guru.com, elance.com, freelancers.com, monster.com and hundreds – if not thousands – more, are full of unique job opportunities, and are constantly outsourcing people for work. Every day, there are niche sites popping up for specialized careers. If you are looking for a “brick and mortar” corporate job in a foreign country, monster.com, hotjobs.com and many other sites can provide you the details of companies that are hiring from every part of the world. ESL (English as a Second Language) teachers have been ahead of the curve on this for years, and sites like eslcafe.com and eslemployment.com have been serving teachers abroad for years. Writers, designers, webmasters, programmers and other freelancers associated with web development will find guru.com, elance.com and freelance.com and other such fee-based sites offering to bring together, employers and talent, based on a bidding system. They are invaluable resources for working abroad. And, of course, you also have sites like craigslist.com, which offers a classifieds section for all major cities in the world. People from all walks of life and skill sets can find job opportunities from these sections. Investors and retirees, or just people with the right combination of money, desire and adventurous spirit are leaving the U.S. to set up shop in other destinations around the world. Over the years, the destinations continue to change, usually, based on the strength of the dollar, the weakness of the economy and the living conditions of certain foreign destinations. In the 1920s, Paris was the place to be, and notable figures such as Hemingway, Fitzgerald, T.S. Eliot, and others from the “Lost Generation” flocked to Paris to work on honing their craft, and to take advantage of living in a vibrant, beautiful city. Just after World War II, GIs returned home with scholarships and grants and rather than going to school in the U.S., found an artist’s community in San Miguel de Allende, Mexico that allowed them to stretch their money much further. Jack Kerouac, Allan Ginsburg, and Neil Cassidy were among some of the more famous visitors to San Miguel during the 50s and 60s. In the 1990s, the fall of the Soviet empire opened Prague and Eastern Europe to people looking to experience the new Renaissance taking place in the Eastern bloc countries. And in the early 2000s, the Argentine Financial Crisis took the Argentine peso from a 1:1 ratio with the U.S. dollar, to 5:1 for a while. It has now steadied to 3:1, and prices are rising in Buenos Aires, but Americans and Europeans are flocking to this city that once cost the same as New York or San Francisco to visit. Who knows where the next trendy destination will be, but what is sure, is that there are plenty of places that offer everything that an adventurous soul needs to work and live peacefully. From Mexico to Argentina, Central and South America offer a good standard of living, exciting nightlife and culture, great weather and a very affordable economy for those able to make U.S. dollars. Asia is full of places like Thailand, the Philippines and Vietnam, with exciting history, great food and decent infrastructure to make moving there, an option. Africa, likewise, is very cheap and exciting, but typically is quite dangerous and lacks the infrastructure to make it a viable option for most. Aside from the Bahamas, Virgin Islands and Aruba, the Caribbean is full of smaller island-nations that are still off the beaten path. They have great weather, friendly locals and they have the potential of being beautiful places to live in for much less than what it would cost in the more well-known and popular tourist destinations in the Caribbean. Instead of Grand Cayman, Nassau and the Virgin Islands, look at Isla Margarita (Venezuela), Bocas del Toros (Panama), Grenada, and Dominica. The decision to leave the U.S. can be a tough one, but like any tough decision, it is made easier with planning and information. For those thinking seriously about leaving, taking a visit to prospective countries is advised, along with doing plenty of research, reading and looking online to hear stories from people who have lived there, or are living there currently. The Internet is full of chat rooms and message boards with people eager to share their opinions, stories and information about their new homes in foreign destinations.